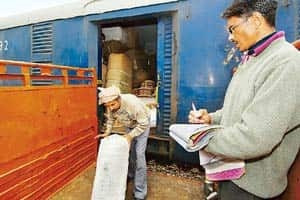 New Delhi: A cash-strapped Indian Railways is exploring a model that will invite private investment in return for a share in freight revenues to finance its marquee project, the Dedicated Freight Corridor, or DFC, government officials said. Ahead of formally approaching the Union cabinet for approval for the fourth time, Railway Board officials, who did not wish to be identified, said the railways had sought the views of the committee on infrastructure headed by Prime Minister Manmohan Singh. “A draft model concession agreement is also being looked at," a person familiar with the development said. Finance commissioner of the Railway Board, Sudha Chobe, says the railways is exploring other options too. “Ideally, we still would want the SPV (special purpose vehicle) to execute contracts under the usual engineering, procurement and construction terms. And we are waiting for the problems in getting an external loan (being negotiated with Japan) to get sorted out. However, if the loan does not work out, we would be looking at other means of executing the project," Chobe said. The railways is hoping to use the public-private partnership, or PPP, model to reduce its investment costs in a project estimated at anywhere between Rs28,000 crore and Rs48,000 crore; especially in the context of questions posed by the finance ministry on the ability of the railways to fund such a massive project. The fee passed on to the contractor is called a track access charge and would be paid out by the Dedicated Freight Corridor Corp. Ltd, or DFCCL, the SPV set up to execute the rail project. The railway ministry is likely to be the regulator in case of disputes between the SPV and the contractors, if the project were to be implemented on the said terms. An official, who did not wish to be identified, confirmed that the Railway Board had indeed approached the committee on infrastructure, but declined to provide any details on the likely follow-up action. “We are in touch with the Railway Board and are looking at how the project can be funded," the official said. The twin freight corridors are proposed to be constructed between Delhi and Mumbai and Ludhiana and Kolkata. It is situated on the golden quadrilateral, which accounts for more than 60% of the railway’s freight earnings, which was around Rs42,000 crore last fiscal. The railways had earlier estimated the project cost to be around Rs28,000 crore while the Japan Investment Cooperation Agency, which had conducted a survey in order to process a loan from the Japan Bank of International Cooperation, said it would cost Rs48,000 crore. The project, conceived two years ago, has since been stalled with the railways approaching the cabinet repeatedly for a clearance (the last time being a fortnight ago), but sent back with only an in-principle approval. The lack of a business plan is said to be the main reason behind the delay in clearing the project. Under the so-called build, operate and transfer model, the proposed 2,700km project, the longest such to be undertaken by the ministry, may be carved out into five sections. Tenders to execute the project would be issued for each of these sections by DFCCL. It is expected that these construction firms would invest in track construction, signalling and other elements of the project. They would in turn be apportioned a part of the freight revenues collected on the route. As in the case of the highways sector, these concessionaires are expected to be allowed to hold concessions on the stretch over a 20-30 year period. According to Chobe, if a “PPP option were to be considered at all," it would be limited to construction of the track. “There is no question of inviting the private sector under a PPP to invest in the SPV. At the most, the contractors who construct the track may be allowed to share revenues on the freight that passes through the freight corridor."